The four pathway areas of Arts & Communications, Business & Entrepreneurship, Health & Human Services and STEM are broad categories, with diverse roles and skills associated with each pathway. The coursework in these four pathways provide an opportunity to explore jobs in the spaces where these pathways intersect. The overlap of jobs within these pathways allow for flexibility to help meet each student's needs, and helps students build skills that apply to most jobs: excellent interpersonal, communication, analysis, synthesis, and problem solving skills. 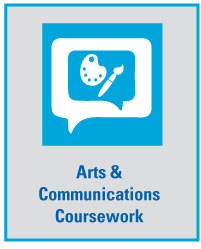 The Arts & Communications pathway is a foundational and interdisciplinary track that provides the analysis and interpersonal skills for individuals who work in the intersection of functional roles and industries. Jobs in this pathway include: project managers, product managers, implementation specialists, business analysts, and design specialists (software, artwork, industrial design, etc.). There are two sides of this pathway–the communications side and the arts side. The communications side will attract people who relate well to others and can think and talk in languages of business, technology and other fields. These people can adapt to new situations, and use their varied experiences to approach new problems and tasks. In the current economy, communications people are often needed to manage the development and implementation of a process or product. People are interested in the arts side of this pathway have strengths in the visual and design process; they can provide tangible, valuable products, especially in a very technology-driven job market. 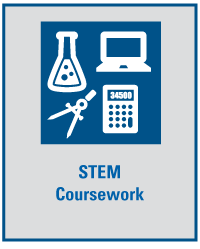 Student Impact: Compacted Curriculum is suggested high school course credit options offered at the middle school level so that students can attain more college credit at the high school level. Student Impact: Through the Ohio Board of Regents College Credit Plus program, every public high school must develop two pathway opportunities for students: one where a student can earn 15 transcripted credits and one where a student can earn 30 transcripted credits. These courses must be college courses that apply toward a degree or professional certificate. The 15-hour pathway fulfills the Ohio Board of Regents requirement. Student Impact: This pathway builds upon the 15-hour pathway and fulfills the Ohio Board of Regents requirement for a 30-hour pathway. *These courses lead to a certificate in Digital Animation. Students would need to take Digital Video Production and Introduction to Programming Logic to fulfill requirements for the certificate. For information on courses to complete an associate’s degree, and to see a detailed grade-level pathway template, click here. 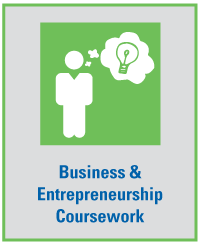 In addition to strong academic skills the Business & Entrepreneurship pathway focuses on fostering an entrepreneurial mindset. This mindset encourages students to be adaptive, flexible problem-solvers with the ability to generate new ideas. This pathway exposes students to business concepts and vocabulary, but also demonstrates locally available entry level jobs in product development/manufacturing, transportation, logistics, sales, or business management. Exposing students to an entrepreneurship pathway that serves a variety of career areas is a key to job creation, particularly through small local businesses. Entrepreneurship is the journey of exploration and risk management to create innovation and value in products, processes, or problemsolving. Jobs in this pathway include: logistics coordinators, office management, insurance adjusters, customer service, and drivers. *These courses lead to a General Business Certificate of 34 hours; there is one course students would take independently (Financial Acct). Science, technology, engineering, and math (STEM) fields are a large segment of employment in Ohio and especially OAC counties. Many of the STEM-related jobs available in the region involve manufacturing. These employers need people who produce the product, but they also need people who can help plan the supply chain. Other hands-on positions include field technicians who might collect soil samples, run simple experiments, or test and set up machines. Familiar jobs in this pathway include: field technicians, engineer technicians, logistics coordinators, and machine operators. *These courses can lead to a certificate in Technical Support with the exception of three courses, Window Concepts and Convergence Technology I and II. 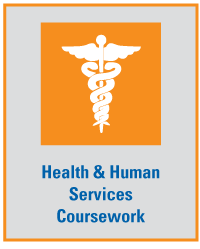 Health & Human Services covers a broad array of occupations, from health to social work, education, and even business. Overall, jobs that revolve around people make up much of our economy’s available jobs. Retail sales people and customer service representatives–whether in person or on the phone–are mainstays and generally economically viable careers. Child care workers and social workers represent a large number of occupations throughout the OAC, but it’s important to note that the hourly wages in the OAC region are lower than other human services occupations requiring less educational degrees. Nursing occupations at the associate’s and bachelor’s degree levels are in demand and still offer relatively good wages. One area of growth is in staff training/development around the implementation of new technology, especially within large corporate settings. Companies need people to help their staff learn and adopt new processes or software systems. Districts can customize these pathways with their own classes, or share classes with other districts in the Collaborative. Teachers, parents, and students can see what dual enrollment courses are offered from all 27 districts.